Notes 3 track EP. Both sides identified on the labels as 'Side One'. 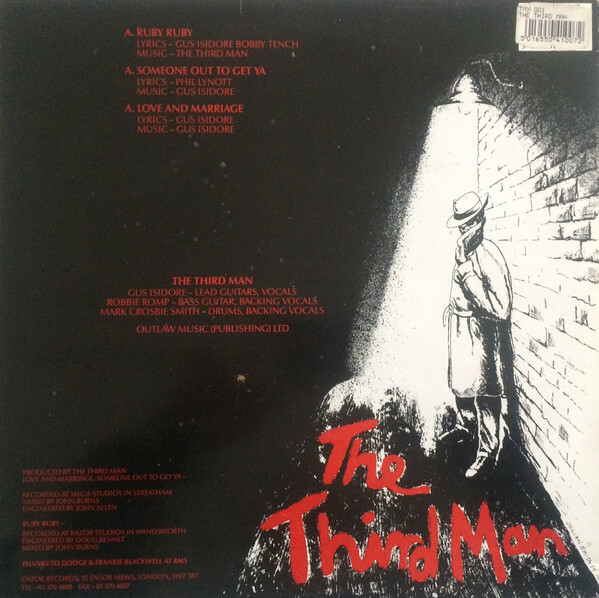 All 3 tracks on the cover have the prefix 'A'. SOMEBODY OUT TO GET YA --- lyrics by PHILIP LYNOTT. 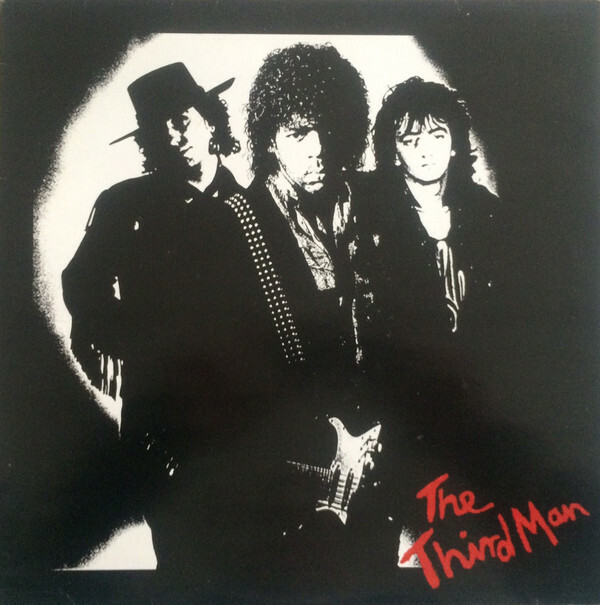 THE THIRD MAN features Gus Isidore, who was also lead guitarist on Philip's 1982 solo tour when he toured Ireland, Scandanavia, Germany, Holland, Belgium and France. After Third Man Isidore was the guitar player with SEAL who had a couple of hit singles in the UK and Europe in the early 1990's.